I’m finally back on the 6m band. It wasn’t a cakewalk, with the dipole generally un-cooperative with the element parting ways with the Acro-bat insulator, and then finding the masthead pulley rope (pictured to the right in the photo) was no longer going up to the masthead, meaning that I needed to lower the mast to replace it. 1:1 coax balun made by VK7ZIF is the centre-feed, and I took the time to redo the PL259 connectors and waterproof them prior to reinstalling to make that particular joint a lot stronger than last time. It was this joint that led to the antenna’s demise a few years ago. Plugged in, and tested, works a treat with low SWR, which was how I remembered it. 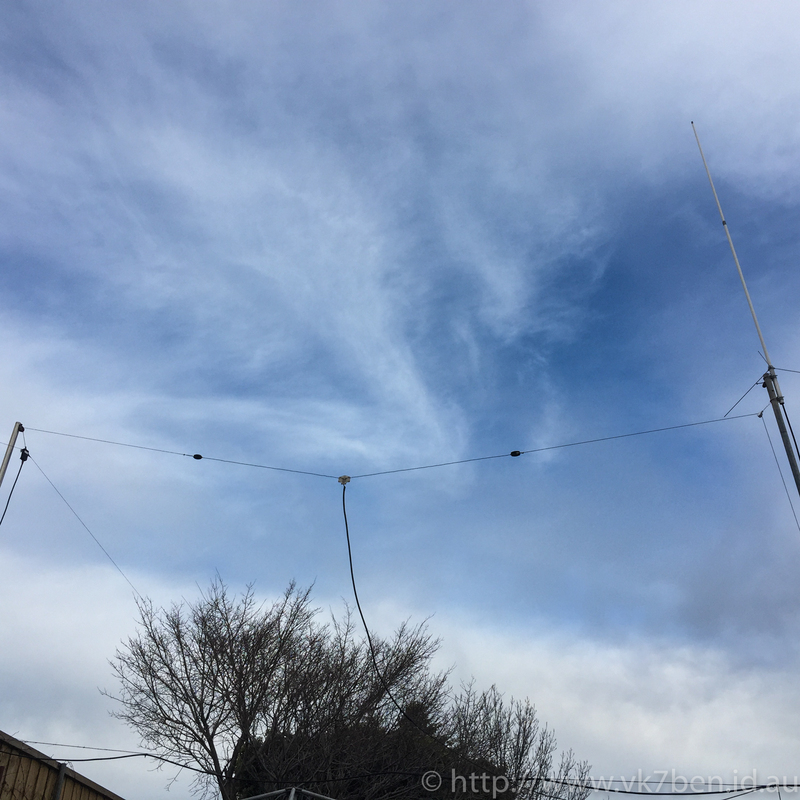 I’m looking at building a new and improved version of this antenna at some point using 2mm multi-strand stainless marine stainless steel wire, much the same as my HF dipole.